The Semantic Web has resulted in a wide range of information (e.g., HML, XML, DOC, PDF documents, ontologies, interfaces, forms, etc.) being made available in semantic queries, and the only requirement is that these are described semantically. 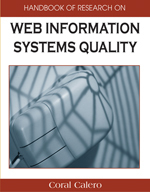 Generic Web interfaces for querying databases (such as ISQLPlus©) are also part of the Semantic Web, but they cannot be semantically described, and they provide access to one or many databases. In this chapter, we will highlight the importance of using ontologies to represent database schemas so that they are easier to access. The representation of the fuzzy data in fuzzy databases management systems (FDBMS) has certain special requirements, and these characteristics must be explicitly defined to enable this kind of information to be accessed. In addition, we will present an ontology which allows the fuzzy structure of a fuzzy database schema to be represented so that fuzzy data from FDBMS can also be available in the Semantic Web. Database Schemas: Database schema is a description of the structure of a database or a directory (file systems); these can be: (a) conceptual schema, a map of concepts, and their relationships; (b) logical schema, a map of entities, and their attributes and relations; and (c) physical schema, a particular implementation of a logical schema. Data Mapping: is the process of creating data element mappings between two distinct data models. Data mapping is the first step in creating a data transformation between a data source and a destination. Fuzzy Database Management System: It is a system or software designed to manage a relational database, and run operations on the data requested by numerous clients. This system is extended in order to include the management of fuzzy data on it. Schema Integration: It is a process that takes two schemas as input and produces a mapping between the elements that correspond to each other semantically. SQL: SQL is the most popular computer language used to create, modify, retrieve, and manipulate data from relational database management systems. Data Base Catalog: The database catalog of a database instance consists of metadata in which definitions of database objects such as basis tables, view tables, synonyms, value ranges, indexes, users, and user groups are stored. OWL: Language Markup language for publishing and sharing data using ontologies on the Internet. OWL is a vocabulary extension of the Resource description framework (RDF) and is derived from the DAML+OIL Web Ontology Language (see also DAML and OIL). Together with RDF and other components, these tools make up the Semantic Web project. Heterogeneous Data Integration Tools: provide translation and integration for data sources over schemas of different species. Ontologies: An ontology is a data model that represents a domain and is used to reason about the objects in that domain and the relations between them. Sem antic Web: The Semantic Web is a project that intends to create a universal medium for information exchange by putting documents with computer-processable meaning (semantics) on the World Wide Web.